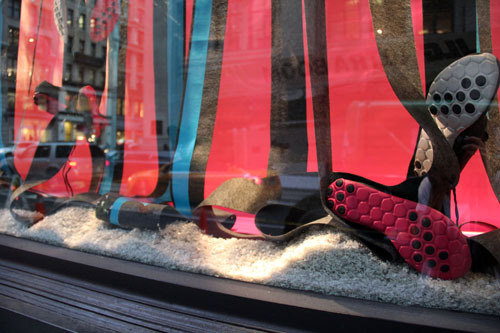 Hundreds of sample shoes arrive from NB. Phase one of shoe prep begins, dipping each in paint. 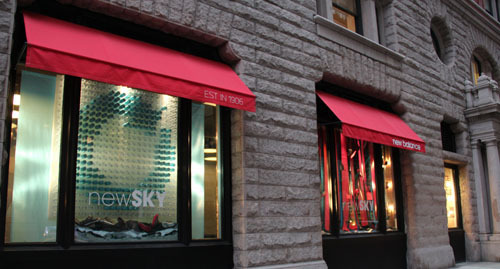 New Sky Visual Merchandising design, production and installation by Nikole Nelson Studios.